Here are highlights from the Asian Cities Parking Study that I mentioned before. Although the final report is still under review, I gave this presentation in late May in Manila at the ADB Transport Forum 2010. The presentation was based on a study commissioned by ADB under RETA 6416: A Development Framework for Sustainable Urban Transport - Parking Policy in Asia: Status, Comparisons and Potential. I am grateful to many people for their help with this large study. Bangkok, Hanoi, Jakarta, Kuala Lumpur, Manila and Singapore in Southeast Asia. Here is a summary of the presentation. First I outlined a framework for thinking about parking policy choices. It contrasts Conventional approaches (parking as ancillary infrastructure for buildings, hence parking requirements) with Parking management approaches (parking as a tool for wider policy goals) and Market-based approaches (parking as a real-estate based service). Some survey result highlights, such as: where people park at shopping/entertainment destination (eg on-street, on-premises, etc); the proportion paying for parking (as % of respondents parking for each purpose); and the average work-based parking prices paid by survey respondents. I also used 2009 Colliers International data to compare CBD parking prices with CBD Grade A office rents (on a rent per square meter basis). The results are interesting. I then mentioned an argument that parking enforcement best practices do make a difference (such as delegating this to professionals). I argued that Japan's proof-of-parking policy is important. I highlighted that the survey results in several cities revealed significant amounts of priced off-street parking (both private and public sector) outside of destination premises. This was most significant in Beijing, Taipei, Hanoi, Hong Kong and (apparently) Tokyo. 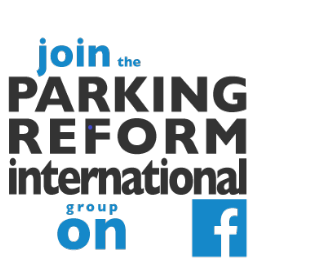 I raised concerns that several cities have price controls over private sector parking (Beijing, Guangzhou, Hanoi, Jakarta). I expressed surprise that the use of parking policy for travel demand management (TDM) is surprisingly rare in Asia (Seoul is the main exception). Parking requirement enthusiasts : Kuala Lumpur, Bangkok, Jakarta and Manila. South Asian cities seem headed this way. An intermediate path : Taipei, Beijing and Guangzhou and (perhaps) Hanoi. Solving on-street parking problems requires on-street parking management, not necessarily off-street supply expansion. ‘Park-once neighborhoods’ (most parking in shared public parking with market-prices) are already common and are highly relevant to Asian conditions. They could provide a useful focus for ‘market-oriented’ parking policies. These policy implications near the end are a little speculative and don't follow obviously from the data in the earlier slides. They are based on the wider findings, on the data in the study, on my wider research on parking, and on arguments advanced in the study report itself (out later this year I hope).